Simple and fun layout using Bella Blvd, 'Merry Christmas', range. 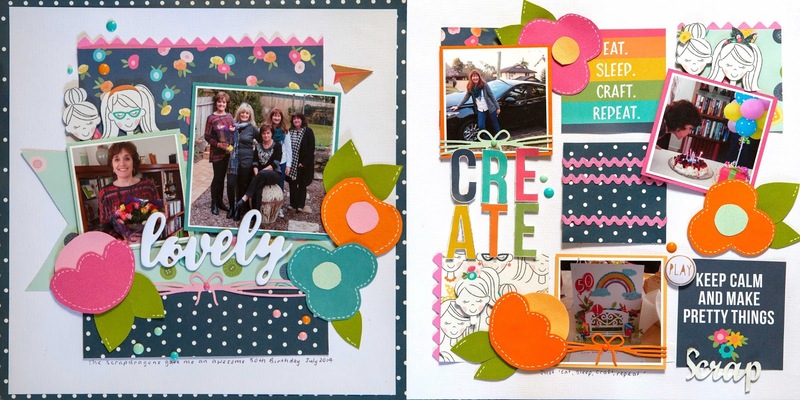 Here is another simple and fun layout using the bright and fun, 'Merry Christmas,' range. Here is a bright and cheery Christmas layout using the lovely Merry Christmas range by Bella Blvd. Here are some bright girlie layouts. 'Tis the Season to be Jolly', Christmas Cards by Bo Bunny. Here are some cards that I made using the Bo Bunny, Tis the Season, collection. I wanted my photos to be the focus of my layout as I just love these pics of my beautiful grand daughter.